A raffle is a gambling competition that happens as a result of people applying to get a certain means of Betting or tickets with the goal of having a winning chance, that will be represented with Prizes. The popularity of raffles is now in a mega state of development, it grows rapidly and it’s a worldwide competition that is been participated by so many individuals like you, the secret behind its rapid growth comes as the game being a straight forward game also the easy part of it being user friendly and the flexibility in giving out prizes to participants. What is Ryfts? Ryft happens to be a platform that has an international magnitude that is totally different from the way lottery systems operates, It has a variety of refreshing and convenient game model that is been opposed to only one fixed model that is being used by traditional lotteries. 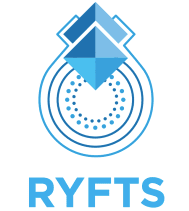 The expectations coming from Ryfts is a very nice one, which is the Goal of becoming the most transparent and probably an easy or fair Blockchain raffle platform that is been owned by the international community and keeping the platform free from the intervention of any third party in its Prize and processes. Ryfts relies on dynamic integrated models which makes or allow the players to choose and at same time determine how much they really wants to Bet, also knowing how many participants that are involved in the competition and the delivery period for their prizes while keeping it simple and accessible as possible. The Cap Based Raffle: This type of draw is Cap based and It kicks off when the number of participating players reaches a certain maximum limit. The model contains 3 types of draw caps which includes the 100 players, 1000 players and the 10000 players. The larger the cap level the higher the numbers of players in the pool for this reason the pool also gets larger too. The Time Based raffle: The draw is time based and it occurs when the timer gets to “00:00:00”. The model contains 3 types of draw periods, which is every 06 hours, 24 hours or 168 hours, The longer the time period , the higher the numbers of players in the pool and hence the larger the size of the pool. The minimum threshold of numbers of players is 21. If the number is not reached in any of the 3 time based types by the time the timer hits zero, the players Betting amount will be refunded. Be aware that, In all the three types of the time based model, players have the chance of participating with a small size Bet ($1 ticket). A medium size Bet ( $10 ticket ) or a large size bet ( $100 ) This makes players able to have control over their pool size of choice. THIRD STEP: The player chooses the amount of the bet (Ticket prize) that is among the three amounts in USD equivalent ($1 or $10 or $100). Only players with same ticket prize can contest with each other, it means that players who chose $1 ticket will Bet with players of same prize, Therefore only $1 will be found in the pool. FOURTH STEP: Instead of having to use Numbers in the Case of traditional ticket layouts, Ryfts tickets (which could be bought with either with RFT tokens or Ethereum) resemble cities that can be chosen from a fully functioning world map before entering any type of Betting round. The house takes a fixed fee of 1% of each bet. Once the player chooses a city as referred in Step 4 which is made up of placing a BET, a house fee of 1% will be deducted from the betting amount, then the player’s Bet, (after fee deduction) will be added to the pool. PRIZE DISTRIBUTION: Once the timer hits zero or the cap is reached, a random number generation process will take its place to choose and decide 11 winning countries respectively from the pool of all countries that players previously chose. 4. Pool prizes will be paid out and delivered to the winners wallets in Ethereum. 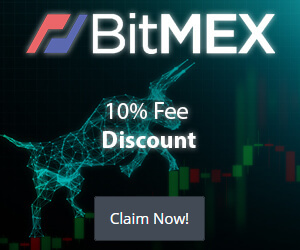 ● The platform fee is very low and user friendly a fee of 1% is what every user wants from a platform of their respective use. IN CONCLUSION, Ryft is a nice platform for all users who BET, this is a sure platform for you, that will provide you with every needs you want as a users no much stress, everything is standard for you to adapt immediately with the platform, I think this is the right platform for you and always remember to do your own research about this platform.